You are currently browsing the tag archive for the ‘O.T. Nelson’ tag. 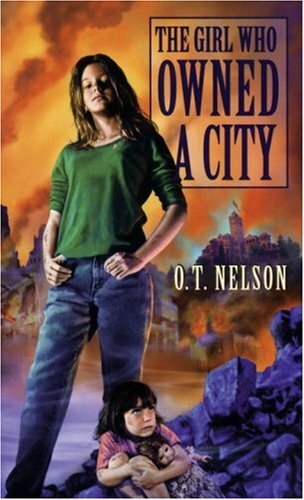 Graphic Universe is jazzed about its new release of the long-standing Lerner favorite—The Girl Who Owned A City, written by O.T. Nelson. 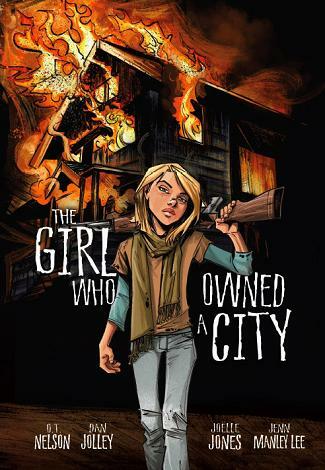 This time it’s in full graphic novel format in which intense colors and magnificent artwork splash the pages and tell the iconic story of a girl named Lisa Nelson who suddenly finds herself in charge of her Midwestern town following a mass extinction of everyone over 12. Exquisitely illustrated by veteran comic book artist Joëlle Jones and adapted to comic book format by Dan Jolley (My Boyfriend is a Monster and the Myths and Legends series’) this new work is set to inspire a whole load of new readers. 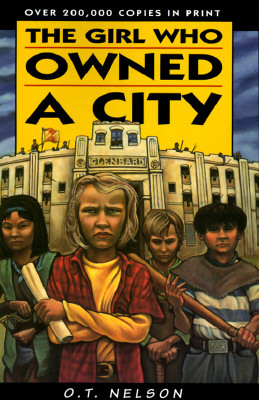 The book, which was originally published in 1975, became required reading in many high schools across the country in the ensuing decades. I recently spoke to a woman who grew up in Illinois (during the 1980s) and she confirms this piece of high school trivia. 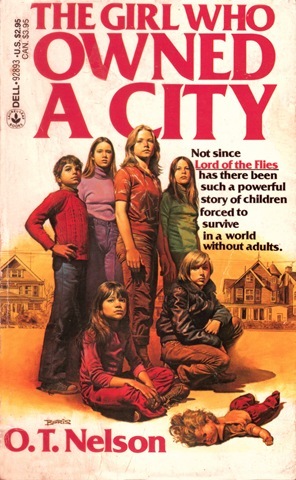 The title has had many incarnations over the years—not just the variety of paperback and hardcover printings (although it’s cool to look at the progression of cover art over time including an old Dell Publishing trade paperback version)—but the fact that there’s been at least one play production. The unique occasion took place on the stage of a community college in Scottsdale, Arizona in the 1990s. And from accounts on the ground it was a good, respectable adaptation. With well over 200,000 copies of Girl in print we are gratified that another generation of young adults inclined to enjoy post-apocalyptic intrigue will continue to make this number go way, way higher. A combined “one million sold” has a very nice ring to it.